His songs have been covered by Jefferson Starship, the Band, Rick Danko, Richie Havens, Scott Petito and Leslie Ritter, John Hall and dozens of European artists, many becoming number one hits in England and Norway. His albums have sold well in Europe. One became platinum in the mid 90's. 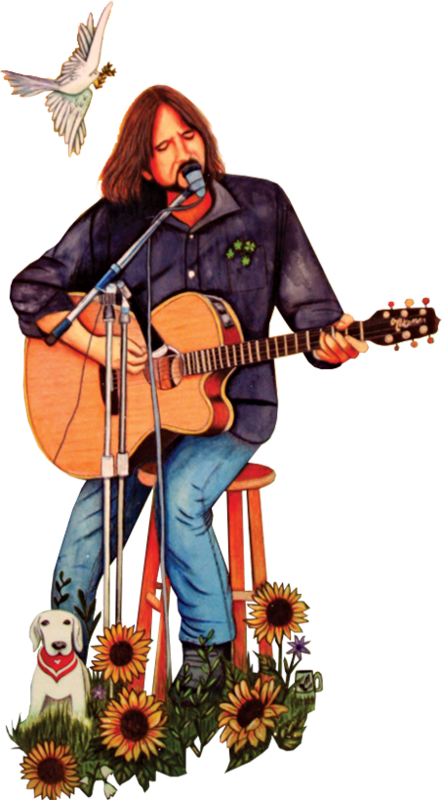 He played folk rock in Greenwich Village, NY in the lat 60's and alternative country in Austin Texas in the early 80's. He walked out on the Nashville songwriting factories and spent 10 years in Dublin Ireland recording and touring extensively in Europe. He now lives in Woodstock, NY and tours both America and Europe. He is admired by critics, fellow performers and perceptive music lovers who have bought the imported copies of many of his albums. Andy Hardin, Tom Russell's long time guitarist, called him "the best solo performer he's ever seen."